JJRC announced its H50 Series line up of quadcopters (JJRC H50CH H50WH and H50GH), this line up includes the 2MP camera and a WIFI FPV variant along with the 5.8 GHZ Variant. The highlight feature of the H50 series is the continuous variable speed, giving more freedom to fly in the sky with an option to set the desired speed to fly. In-addition, the 5.8GHz FPV variant has the transmitter has some basic telemetry data feeding to the transmitter, such as transmitter power, signal strength, speed, throttle, and steering trim. The solidly built RC quadcopter is impact-resistant and wind-resistant, which adds more fun to an outdoor flight! 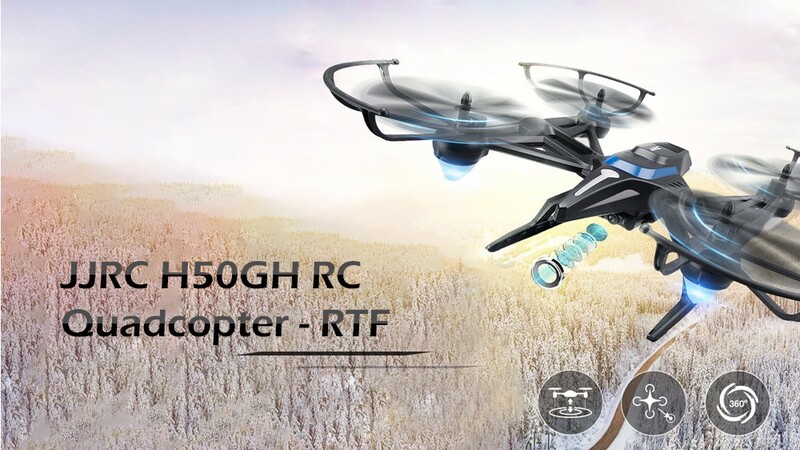 All three variants of JJRC H50 include the features of Altitude Hold, Headless and one key return along with 6-axis gyro for stabilization and 2.4 ghz frequency. The control distance is 150 meters for h50GH and gives a flight time of 8 minutes with 7.4 volts 500mah lipo battery. Strong rules and regulations created for drones because mandatory and necessary human being loves to buy drones and it is the future.. day is not far drones do all home related activities guiding my families to visit distant locations and buy things or to sell things.